We are very pleased and excited to welcome our latest team member Alison O'Neill. 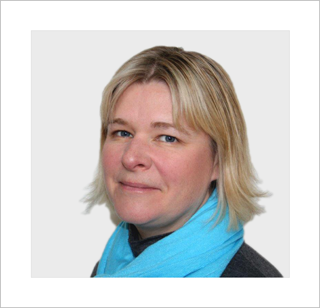 Alison has specialised in the field of Acquired Brain Injury and complex neurological conditions since 1998, treating a wide variety of clinical presentations. Alison excels in the provision of high quality assessments, goal-oriented interventions and reports, working with highly complex cases requiring professional autonomy within the bounds and framework of agreed instructions and funding. If you would like to find more about Alison, please visit www.theotcentre.co.uk/team/alison-oneill or make an Enquiry at www.theotcentre.co.uk/contact. We are delighted to welcome Alison to The OT Centre team. She brings a tremendous wealth of experience and expertise and I'm sure her services will be highly sought after. We are very pleased and excited to welcome our latest team member Sally Waters Foster. Sally specialises in working with children and young people in the areas of physical health, mental health and learning disabilities. If you would like to find out how you could join Sally and work with The OT Centre, visit our dedicated OT jobs website www.jobs.theotcentre.co.uk. We are very pleased and excited this week to welcome our latest team member Jemma Thomas. 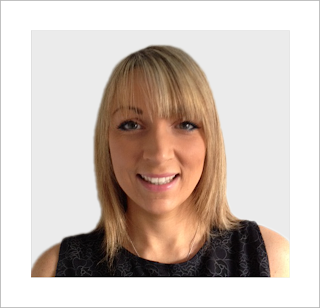 Jemma has practised for more than eight years and brings a range of skills and experience to our specialist neurorehabilitation team. If you would like to find out how you could join Jemma and work with The OT Centre, visit our dedicated OT jobs website www.jobs.theotcentre.co.uk. 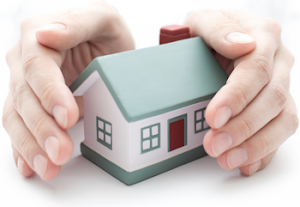 it's increasingly important that we make it as easy as possible to find the right OT near to home. That's not all. Click on each OT on the map and we'll show you the areas they cover, give you a brief description of their skills with a quick link to their full profile page on our website! The National Health Service has faced at least fifteen years of ‘efficiency savings’ in one form or another and in recent years the Allied Health Professions, including Occupational Therapy, have seen increasingly stringent measures to ‘cap spending’. I attended the College of Occupational Therapists Specialist Section for Neurological Practice conference in Cardiff this week. It’s always a great opportunity to catch-up with former colleagues and make new professional acquaintances. I no longer work in the NHS but my conference visits are a great way to keep up with insider news. I’m increasingly hearing of OT redundancies and (not so new) recruitment freezes. A few trusts are dismantling Band 7 and downgrading OT's to Band 6. How widespread is this? I set up in private practice three years ago. It’s been hard work and a steep learning curve but I can honestly say I’ve never looked back. I decided to grow the company this year and now count myself privileged to work with three very experienced Occupational Therapists - soon to be five - who continue to work part-time in the NHS whilst taking contract work with The OT Centre. It’s an arrangement that works really well for all concerned. I’d love to hear about your on-going experiences. Is it time for a new challenge or are you working in an NHS trust that has managed to embrace the efficiency ethos and deliver real improvements in its services, for staff and patients alike? The launch of our Occupational Therapy Jobs website this week coincided with the official release of news about our two newest team members. Helen Bankhead and Wendy Bromham-Davies (pictured) have joined our private occupational therapy team and collectively bring over 20 years experience treating cases of brain injury. If you would like to find out how you could join them and work with The OT Centre, visit our dedicated OT jobs website at www.jobs.theotcentre.co.uk. We are very excited this week at the launch of our nationwide recruitment campaign offering Occupational Therapy jobs with The OT Centre. 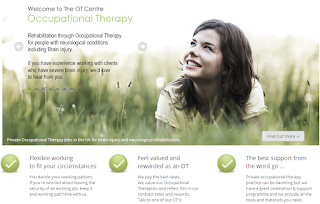 Our dedicated OT Jobs website www.jobs.theotcentre.co.uk went live this week and has already prompted Occupational Therapy job enquiries from a number of experienced OT's. We are very pleased and excited to welcome Helen Hughes to The OT Centre as our latest team member. 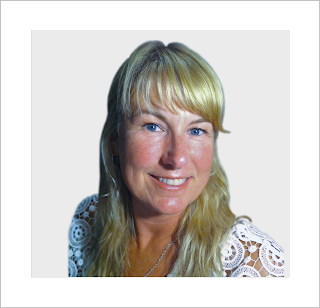 Helen brings considerable skills and experience as an Occupational Therapist for clients with traumatic brain injury. 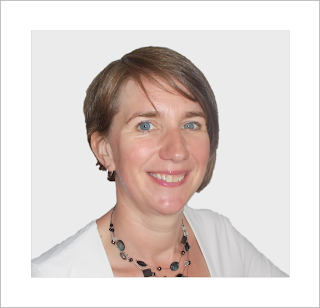 Helen has practised in neurorehabilitation at senior & advanced practitioner level for more than 15 years and is a long-standing member of the College of Occupational Therapists’ Specialist Section in Neurological Practice. 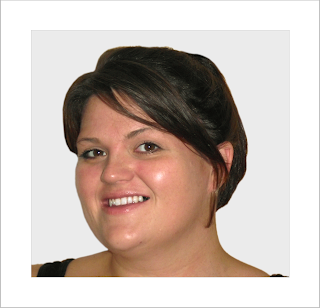 To find out more about Helen, visit our Team Pages at www.theotcentre.co.uk/team. are recognised through positive feedback. We were very moved this week when we received a very personal testimonial from a client's parent and have changed his name here to protect his privacy. I have known Helen Spencer now for several years as my son's OT. My son received brain damage after a motorbike accident age 24 and as anyone can imagine it has devastated the family, it is a very slow recovery and so many questions to ask, but I can honestly say that without Helens support I don't know where we would be today. Helen is so professional and very caring with it, I love the way she thinks outside the box as every brain damage can be so different she always finds a solution to David’s problems one way or another and is always there for me too. David has progressed greatly in the last 4 years thanks to a great team and Helen has played a great part in that progress as she has gained David’s trust (not a easy thing to do) and he trusts her totally. If he is not happy with the way something has been done Helen will explain it to him so he understands it's for his best interests and he will except that then. Anyone that needs an OT would be lucky to have Helen work with them.